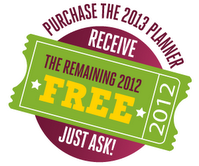 Last year I released a new resource to help busy moms make sense of managing their home, “The 2012 Confident Mom Weekly Household Planner.” It was intended to make the daily lives of moms more organized, more productive, less stressful, and overall more pleasant, the Weekly Household Planner was met with open arms from moms everywhere and was a huge success! I received numerous positive comments, as well as a few ideas for improving next year’s version, which was wonderful. 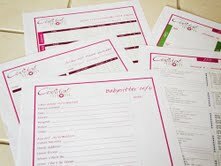 I am pleased to announce The Confident Mom Weekly Household Planner is back for 2013! Thanks to the ideas I received, this year’s Weekly Household Planner is even bigger and better than last year! smaller increments of time to keep the tasks from becoming too large and overwhelming. This also makes them easy to delegate! No stone is left unturned—it includes everything from ironing, cleaning the bathtub, vacuuming under furniture, and washing the car to taking your vitamins, exercising, meal planning, and pampering yourself! It will even help you make sure you’re drinking enough water each day. Add your own to-dos or reminders—extra space has been left on each day and week so you can add in any items specific to your household. There’s also space available to jot yourself notes. for added enjoyment and motivation. create a smooth running, stress-free home—which ultimately makes for a happy mom! Babysitter Information Form so your sitter has all the important info he or she needs. them in a hurry as well as frequently used numbers. find and share with those that need it. Website/App List for Kids so you can record websites/apps your kids are interested in. Website/App List for Me so you can record websites/apps you want to visit or buy. after your purchase requesting it and you can get started right away.